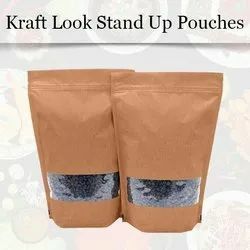 Providing you the best range of quad seal coffee bags, custom printed coffee bags, kraft look stand up pouch, coffee bags with valve, espresso coffee packaging bags and seelaz coffee pouches with effective & timely delivery. Swiss Pac Pvt Ltd manufactures Quad Seal Bags which are available in various colors, sizes and materials. 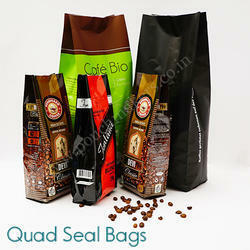 Quad Seal Bags are a modern, flexible and convenient packaging solution for various products from different markets. We provide unique and effective designs for our Quad Seal Bags. The materials used within the production process of our bags can be able to ensure that they are safe for all the products. 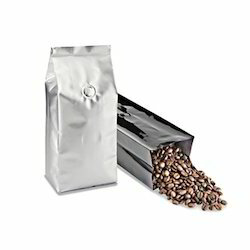 We provide gusset bag with valve which are best used for coffee packaging for ensuring the durability of a package and freshness of products. 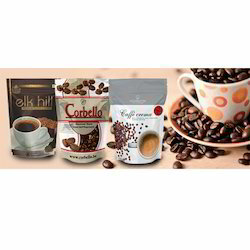 Our firm is counted amongst the significant names, offering a wide range of excellent quality Coffee Bags / Coffee Pouches. 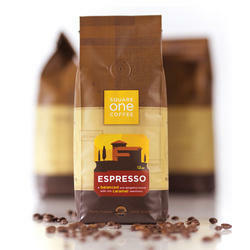 Proper coffee packaging has become essential for coffee to maintain its freshness taste and aroma. Our offered pouches are highly applicable in coffee processing industries. Offered pouches are manufactured using quality approved raw material and contemporary technology, in sync with industry norms of the industry. In order to ensure the quality of products, our team of experts tests them on various parameters. Apart from this, we provide our entire range in different specifications as per their requirements in industries. Confectionery goods and lots more. We have several variety of top quality materials like shiny BOPP, PET, LLDPE and PE for manufacturing of Kraft look bags & pouches. Due to their quality, pouches are able to offer high durability standards. They possess high strength and resistance to puncture along with excellent barrier properties and seal ability. These pouches are able to preserve the products from many external contaminations like dust, moisture, oxygen, UV light and also help in extending the shelf life of the products. They offer effective marketing capabilities and grab the attention of the consumers towards your products at the point of purchase. Our Kraft Look Bags are consist of high oxygen barrier thus they are highly recommended for products requiring high puncture resistant and maximum strength. We offer our pouches at the best nominal prices and we guarantee to supply our bags to our clients within the pre-determined period of time. So our Kraft look pouches are highly durable, flexible and cost effective packaging solution. We are offering Coffee Bags With Valve to our clients. 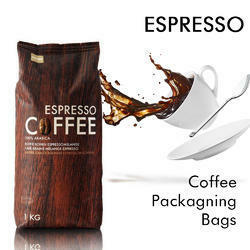 We are offering Espresso Coffee Packaging Bags to our clients. 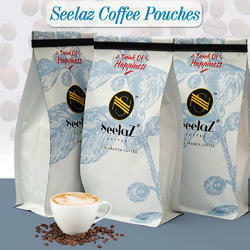 We are offering Seelaz Coffee Pouches to our clients. 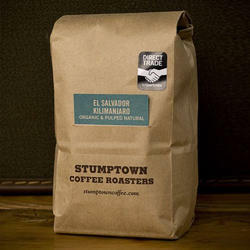 We are offering Stump town Coffee Packaging to our clients. 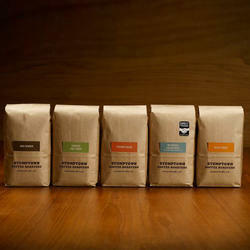 We are offering Delicious Coffee Bags to our clients. 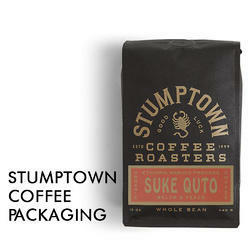 We are offering Custom printed coffee packaging to our clients. 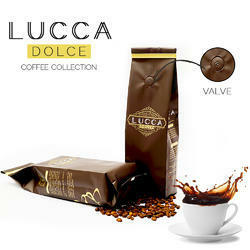 We are offering Lucca Dolce Coffee Bags to our clients. SwissPac India interested in this sector of the market, so we have developed the quality of plastic bags and paper bags that we produce in order to maintain the quality of coffee beans that will be packaged inside the coffee bag or coffee bag.The company also provides customers with the possibility to add a transparent window to the packaging bag so that customers can see the product and the possibility of adding. All plastic bags and paper bags for the packaging of coffee beans contain a valve that expels the gases from the inside of the bag which help the coffee hold its distinctive flavor of the gases and external factors. 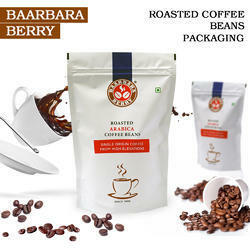 We hold expertise in offing our clients a wide variety of Coffee Pouches With Valve. The offered pouches are manufactured by our professionals using supreme grade basic materials and advanced machines keeping in mind the latest market trends. Offered pouches are highly cherished by our clients for their features like attractive design and tear resistance. We offer these pouches in various colors and designs as per the needs of the clients at highly competitive prices. We are offering Roasted Coffee Bag to our clients. 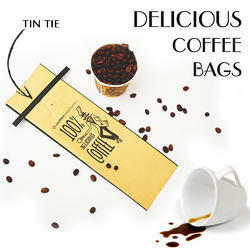 We are offering Coffee Packaging Bag to our clients. 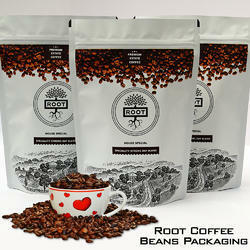 We are offering Root Coffee Beans Packaging to our clients. 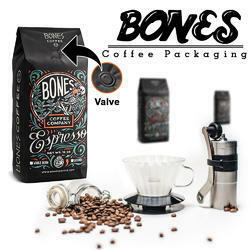 We are offering Bones Coffee Packaging to our clients. We are offering Duntte Coffee Packaging to our clients. 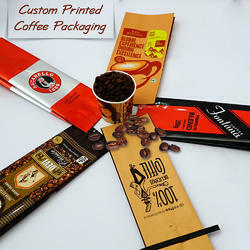 We are offering Roasted Coffee Beans Packaging to our clients. 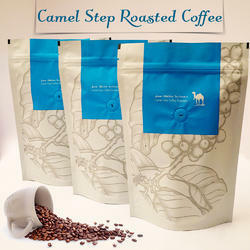 We are offering Camel Step Roasted Coffee to our clients.